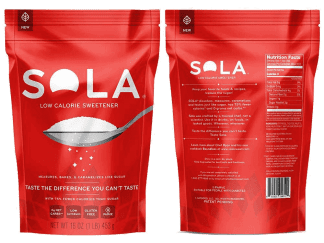 Okay, we all know sugar’s bad for us. But when the alternative tastes like it was made in a lab, sugar hasn’t been worth giving up…. until now. 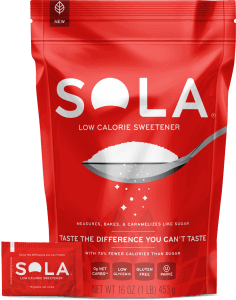 SOLA® is the only sweetener that tastes EXACTLY like sugar, with 75% fewer calories and zero net carbs! Healthier living’s never been so sweet. 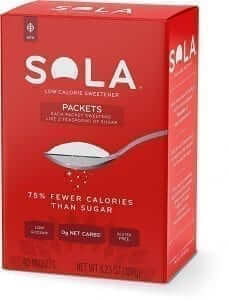 †1 TSP OF SOLA® CONTAINS LESS THAN 4 CALORIES.